Being on the Imagination Crafts Design Team means I can play with all different mediums alongside all the lovely products that Imagination Crafts sell on their website. 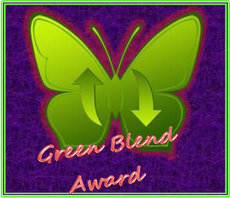 Click here to go to the website. 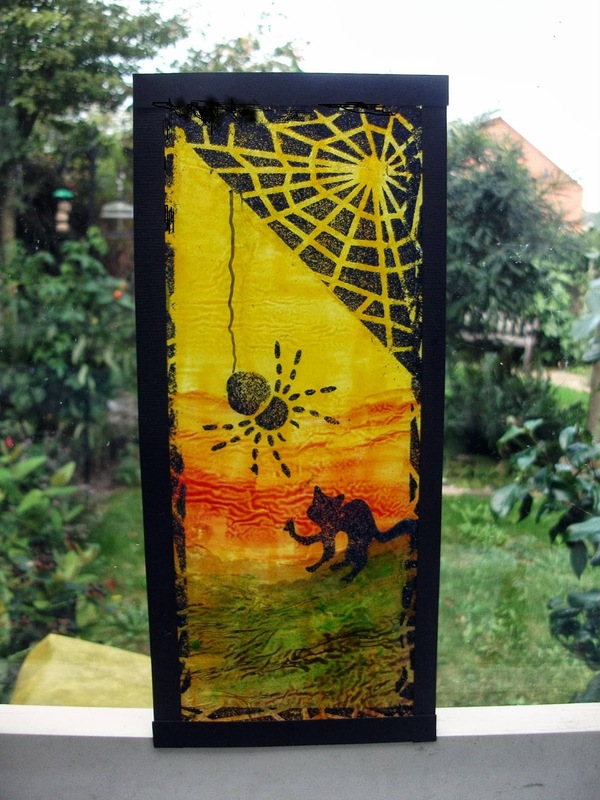 It's great fun to create ideas for my two monthly posts so for my first October Inspiration Project I created a "Suncatcher" for Halloween made with Glass Paints and Sparkle Medium. This could be put in your window on October 31st to shine through your window to outside or hung on your door for those Trick or Treaters. Firstly I found an old piece of Acetate which used to be part of a plastic window. I cut it to size with a fret saw then painted on the back with yellow (for the sky), orange, green and brown glass paints and covered this with white tissue paper whilst still wet. This gives a crumpled look on the correct side of the piece. I then used Black Stars Sparkle Medium and the Halloween Stencil - Pumpkin for the images on the front and also went around the edge with the Halloween spider's web stencil to give it a frame. I also added another frame with black card to finish. This is wonderful Christine, I love the fabulous colours and what a fabulous idea too. A super project Christine and a great idea. Love the colours.